Offering you a complete choice of products which include flat food belt conveyor, belt conveyors, infeed belt conveyor, bag straighter conveyor, cleated belt conveyor and belt conveyor system. 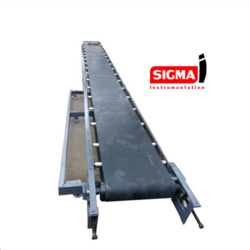 Being a customer-focused organization, Sigma Automation engaged in offering a wide assortment of Flat Food Belt Conveyor as per customer require size . All our offered belts conform their adherence with international quality standards. These belts meet the varied demands of food processing industry. 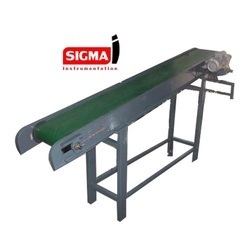 Moreover, these full line homogeneous, embossed and reinforced conveyor belts are highly known in the market for their effective conveying and low maintenance cost. Transportation: Carton, Drum, Steel Container etc. 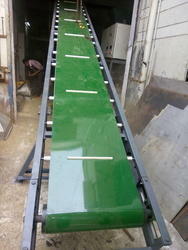 We are mfg of various type conveyors as per customer application and requirements. 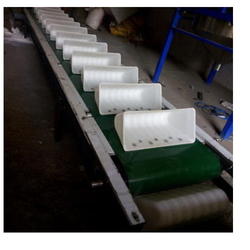 We are offering Infeed Belt Conveyor (Feeder and Big Bucket). We are making of various type industrial conveyor and Bag straighter conveyor as per customer requirement and applications. Also low maintenance and good quality for customers. 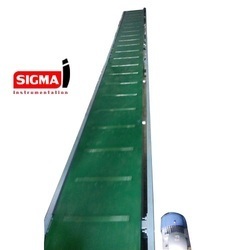 We are the leading manufacturers of Belt Conveyor System. This Product is used in industrial material transfer in height at short space. Bucket used are Deep Bucket. So low weight material easily transfer at height in very speed. 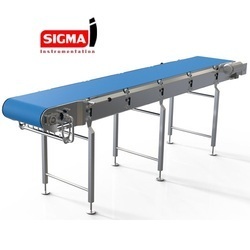 Sigma Automation Offering wide range of conveyor as per customer require. 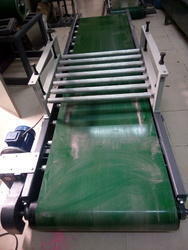 We are offered for food grade Green PVC belt conveyor as per customer require size and application. 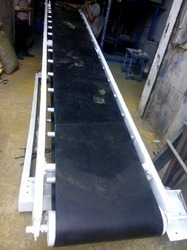 We are mfg of all type belt conveyor as per customer require and size.